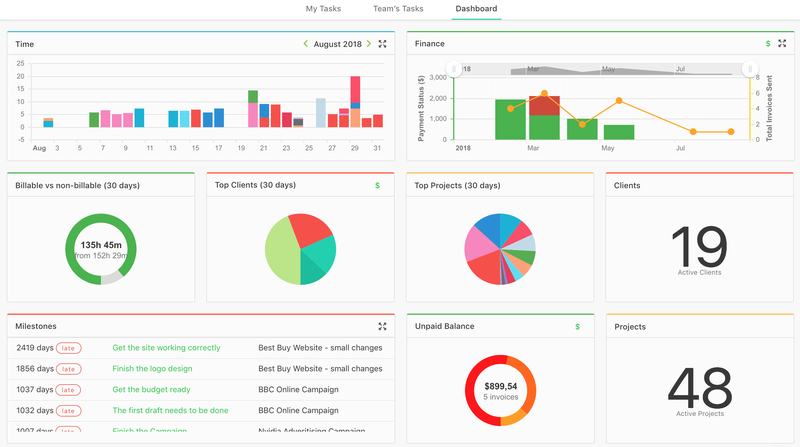 The Dashboard is a live stream of data from all the projects, clients, invoices, milestones and more in one place. It’s a good way of getting an overview of what you and your team are working on. You can easily check if the billable vs non billable ratio is how it should be, if users are tracking their time, if your milestones are completed on time, and if clients have paid their invoices.